There’s quite a lot of SUV news today. The most obvious to you fans is the new BMW X5, which just recently made its debut just a few short hours ago. This new G05-gen BMW X5 is an exciting car, as it looks better than any other X5, has a fantastic looking interior and is packed with technology. However, it’s not the only interesting SUV that made its official debut today. 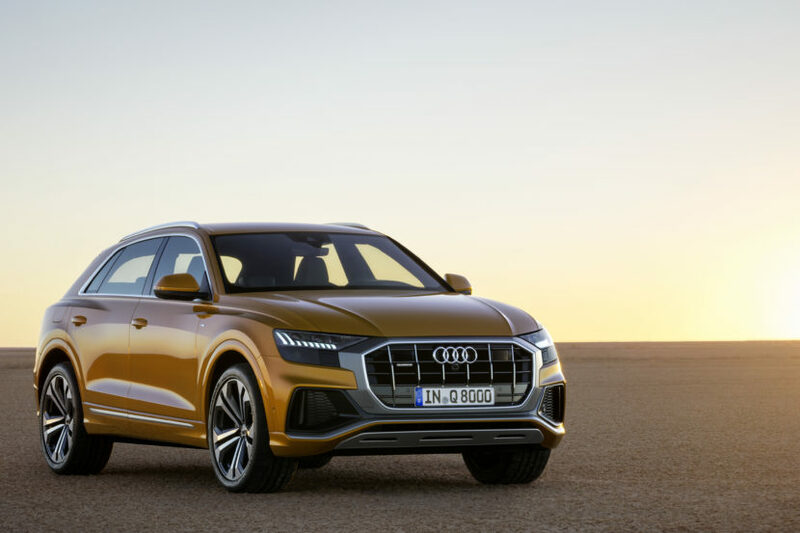 The brand-new Audi Q8 has just been revealed as well. Now the Audi Q8 and BMW X5 are not competitors, so it’s not too odd that they both debuted today. However, the Q8 is a competitor to a different Bavarian — the BMW X6. Like the X6, the Audi Q8 is a coupe-like SUV with sportier driving dynamics that their traditional SUV counterparts. The biggest difference between the two is price and luxury. While the BMW X6 is a slightly sportier version of the X5, the Audi Q8 is a step of from its Q7 sibling, in terms of price, luxury and quality. The Q8 is now Audi’s flagship, while BMW’s flagship SUV is its X7. However, the two cars are similar enough to compare. The Audi Q8 looks sporty and has a sloping roofline, just like the X6. It will also boast more dynamic handling than you’d expect from an SUV, much like the X6. It will also come with some sporty engines. The base engine in the Q8 in North America will be the brand’s 3.0 liter turbocharged V6, sourced from the Audi S4, which will likely make around the S4’s 354 hp and 369 lb-ft of torque. That would put it right in competition with the BMW X6 xDrive35i. Although, we’ll likely wait for the next-gen X6 to debut with BMW’s B58 engine for a proper comparison, as it’s more competitive with the Q8’s new engine. There’s also going to be a 4.0 liter twin-turbo V8 available in the Q8, to compete with the X6 xDrive50i. 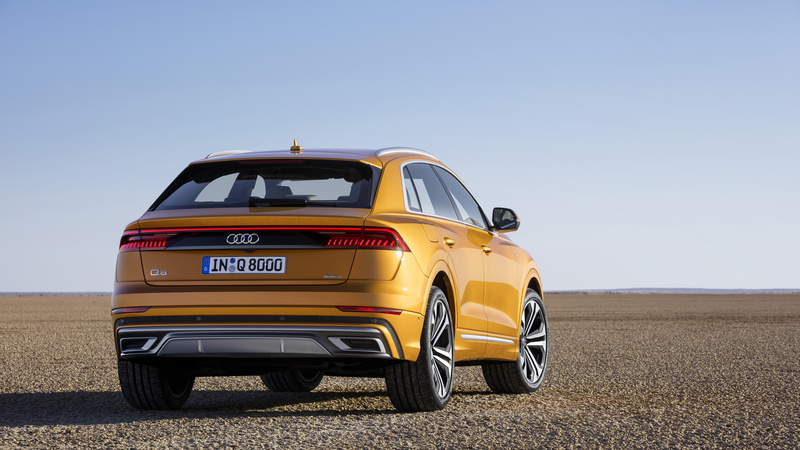 We’re also hearing rumors of an Audi RS Q8, which would also pack a twin-turbo V8 capable of X6 M-like performance. We won’t get into styling and interiors, as the Audi Q8 is significantly newer than the X6 and it’s not really fair to compare interiors and technologies between the two. However, the Q8 is the more premium and high-tech car of the two. The Q8 is a bit upmarket from the X6, so it’s not exactly an apples-to-apples comparison. Plus, we’re going to have to wait for BMW to release its next-gen X6 based on this new X5 before we can properly compare the two cars. Having said that, the X6 basically started the coupe-like SUV segment and this Audi Q8 is the latest of the sort. So the two will always draw comparisons. We’ll see which car ends up being better.